Cajuns love their seafood. 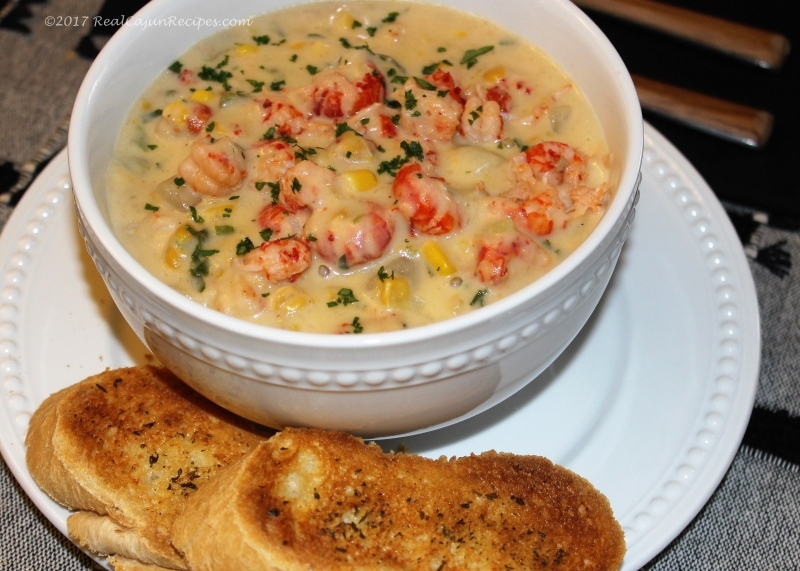 This “soup for the Cajun soul” can be made with crab, shrimp, crawfish, all three or in combination with each other. Most everyone use the term Bisque and Chowder interchangeably. However bisque is smooth, chowder is thick and chunky. Traditionally it’s pieces of vegetables and seafood. It also usually includes milk, half-half or cream, and gets some of its thickness from hearty vegetables, like potatoes. In a medium saucepan over low heat blend together the margarine and flour. Add the onions, bell pepper, celery and garlic. Cook until veggies are tender approximately 15 minutes. Add corn, milk, and potato soup and blend well. Add potatoes if using and add seasoning and pepper to taste. Cook for 30 minutes over medium to low heat, stirring to prevent scorching. Add the crawfish, parsley and green onions and cook for 10 minutes more. Garnish with parsley and smoked paprika -serve and enjoy! Shrimp and crab meat maybe added or substituted.